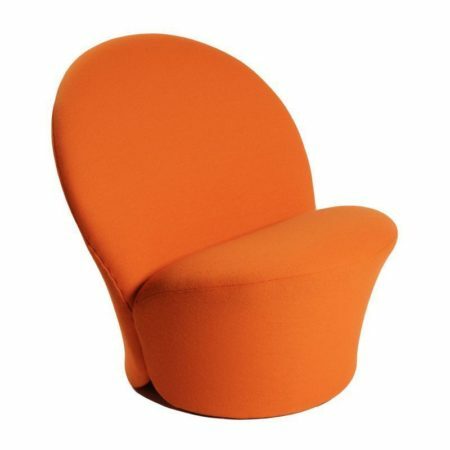 Artifort Chair F572 designed by Pierre Paulin (1927-2009). This sculpted armchair is designed by Pierre Paulin in 1967, this model is very rare because it has only been in production one year. This chair has new orange ALBI fabric (WV 79/21 CO) Ploeg upholstery, because of that this vintage chair is in excellent condition. Material: steel tube, foam, orange Ploeg fabric and wood. Afmetingen: h x b x d = 73 x 73 x 76 cm. The seat height is 40 cm.